In September 2009 the Anarchist Federation (AF) published a pamphlet entitled “Against Nationalism”. The pamphlet was produced as a response to wave of support for Palestinian nationalism and its political expression, in the shape of HAMAS, which the Israeli invasion of Gaza in 2008/2009, elicited from the so-called “left”. The pamphlet considers the historical evolution of nationalism and imperialism and some of the arguments advanced by socialists for supporting or opposing national struggles. The AF makes clear from the outset that they have always opposed national struggles even those of “oppressed nations.” The pamphlet also correctly identifies national struggles as interclass struggles which undermine the workers’ struggles, which, in contrast, are international. The reservoir of support for bourgeois nationalism in the British “left” ensured that voices were raised against the conclusions of this pamphlet. David Broder, of the Commune group responded with a critical review of the pamphlet in a text entitled “the earth is not flat” and the issue was made a subject of debate in the Commune’s day school in June. At the day school, which the CWO attended, the key issues were raised with different members of the Commune taking totally opposing positions on this question. Left Communists in general and the CWO in particular, consider that history has settled the issue of the national question and the theorists who have given their support to national struggles in the period from the First World War onwards have been shown to be decisively wrong. Today support for nationalism is no longer a mistaken tactic, as might have been argued in the period leading up the World War 1, it is counter-revolutionary. We are therefore taking this opportunity to comment on the pamphlet and the issues which have been raised in the review and the subsequent debates. The AF pamphlet looks at nationalism as an ideology described as a “narrative constructed by the capitalist state.” It exposes its use in creating class collaboration and inducing the working class to fight the capitalist’s wars and points out that the interests of wage workers “stand in opposition to those of the capitalist nation state.” It, correctly points out that successful national struggles result in a re-ordering of the machinery of exploitation of the working class and do not in any way bring liberation to the working class, giving the examples of Vietnam and Zimbabwe to illustrate the point. The pamphlet calls for “class struggle in the arena of war and in the antagonist nations” as the only strategy which could be supported. Generally we endorse the political conclusions reached by the pamphlet. However, the pamphlet has a number of weaknesses which make it unable to adequately refute the politics of the bourgeois left. The principal weakness of the pamphlet is that it examines nationalism as “ideology” but does not attempt to expose the material roots of this ideology or see it in its historical perspective. The analysis therefore fails to take into account the dynamics of capitalism as an economic system, and the developments which it has undergone from the 19th century to the present, developments which are reflected in ideological changes in the key ideas of nationalism. In the 19th century, formation of national states served the purpose of developing the national capital, often behind protective tariff barriers, capitalising agriculture and converting the agricultural population and artisans into wage labourers. In doing this capitalism was eradicating feudalism and creating the proletariat as a class within capitalism, thereby carrying out a progressive role. This role could be described as progressive since it was creating the class of wage labourers as a distinct class within capitalist society. This class was an exploited class on which the whole capitalist system depended and a class with a clear interest in ending their exploitation. It was, therefore, a class in “radical chains” which could be the agent for the socialisation of the means of production and the construction of a higher form of social organisation, namely communism. The general content of the nationalist struggle was the consolidation of the national state through a struggle against feudalism and consequent development of the capitalist system and the working class. While this was the content of nationalism, proletarian political organisations could give political support to the bourgeoisie in carrying out these tasks. The nationalist struggle could, therefore, be supported where it favoured the interest of the working class. Support for the national bourgeoisie was, in this period, a tactical issue. However, at the end of the 19th century the phase of formation and consolidation of capitalist states was, in Europe at least, generally completed. For the major capitalist states there was now a need for the national capital to secure sources of raw materials, theatres for export of capital, markets and trade routes on a worldwide scale. Capitalism, as a global system, had entered a new phase, that of imperialism. Wars of national formation gave way to imperialist wars, of which the First World War was the most dramatic manifestation. Changes in the material needs of the major capitalist states produced a change in the ideological content of nationalism. In the period from the start of 20th century to the present, nationalism became synonymous with support for the imperialist struggle to project the interests of is, a struggle against other capitalist states. The change in the content of nationalism demanded that the political attitude of communists to national struggles had to be re-evaluated. Whereas, in the earlier period communists could give tactical support to bourgeois national struggles, because of their generally progressive character, in the later period these struggles became part and parcel of wider imperialist struggles in which workers slaughtered each other in the interest of their national bourgeoisie. National struggles were now directly opposed to the interests of the working class and were counter-revolutionary. By seeing nationalism as an ideology or “a narrative constructed by the capitalist class” the AF loses sight of its historical dimension and declares that they have always opposed it. In a similar way the Stalinists, Trotskyists and various leftists, not recognising the historical character of nationalism, see the present as basis of nationalism as essentially the same as that of the 19th century. They conclude that support for nationalist struggles is still a tactical question and consequently pick and choose which nationalist gang they support on a tactical basis. The tactic is generally based on their assessment of how a particular bourgeois nationalist struggle would weaken the interests of the major imperialist powers. If we leave aside, for the time being, the argument advanced for this tactical support, it is clear that it is the same failure to understand the historical nature of nationalism underlies both the positions of the AF and the “leftists” against whom the pamphlet is directed. This is the case despite the oposing conclusions they reach. The AF characterises all nation states as imperialist and see the state as being essentially imperialist. The state -- they argue -- secures the material basis of its own power: it increases its own resources, wealth and ability to protect itself. It is therefore not simply a puppet of corporate interests but is an interested party in its own right……the nation state has imperialism in its very blood (1). This passage highlights two key issues which run through the pamphlet, the nature of imperialism and the nature of the state. We will consider the issue of imperialism first. The AF’s characterisation of all states as imperialist is too simplistic to stand serious scrutiny2. While it is true that imperialism stems from the operation of capitalism and so all states have a drive to imperialism, in practice, for the lesser states these ambitions are unrealisable. Imperialism is a global system, a phase in the global operation of capitalism, and all states are therefore forced to participate in the system and do so, in one way or other. However, this participation is not the participation of equals. The minor powers participate as junior partners of the major powers or junior members of a bloc of powers. What underlies imperialism is a process of transfer of surplus value to the dominant imperialist powers and it is clear that this transfer cannot benefit all states. The major beneficiaries and controllers of this process have been in the past and today still are the metropolitan capitals of the Europe and North America and Japan. The role of the minor powers is that of lieutenants of the major powers. Often their role is principally to ensure the smooth transfer of surplus value from their workers to the metropolitan capitals which exploit them. In other words to ensure the rule of capital is not threatened in their area of the globe. Although the dominance of the powers controlling the system, and their resulting privileges, are always under threat from rising powers such as Russia, China, India and others, this challenge of rising powers in no way changes the operation of the system as a whole. It simply means new powers rise to dominate the system. As we have seen in the 20th century, although the top dogs of imperialism have been changed by world wars the global system has remained essentially unchanged. Although the AF reaches a similar conclusion to the above, this conclusion is reached empirically. There is no understanding of the global systemic nature of imperialism and the consequent impossibility of individual nations to free themselves from it. The arguments of the leftists that there are imperialist nations and dominated nations, and support for the dominated nation weakens imperialism, similarly stems from a failure to understand imperialism as a phase of capitalism from which there is no escape, short of the system’s overthrow. The weakening of one imperialist power simply means the strengthening of another. Although the AF ridicules the arguments of the leftists, it cannot expose the false premise on which these arguments are constructed because it does not itself understand why this premise is false. Instead of seeing imperialism as a global phase of capitalism, the AF attempt to argue it emanates from the state, or in their words the “state has imperialism in its blood.” Throughout the pamphlet there is a tendency to see the state as the root of all that is wrong with the world. Hamas, for example, is condemned because it is a “proto-state force” rather than because it is a bourgeois political force. However, at the same time the pamphlet recognises that the principal axis, around which social struggles revolve today, is the class struggle within capitalism. The pamphlet also recognises that most of the imperialist actions carried out by the state are dictated by the needs of capitalism. A dual explanation of imperialism is thus presented, firstly as something resulting from the forces of capitalism and secondly resulting from the inherent imperialist tendencies of the state. This simply confuses the explanations which the pamphlet offers. In reality, excluding periods of revolution, the state can only be an expression of the economic structure of society, and can only reflect the interests and needs of the dominant class in society. When this class is progressive the state is progressive and when it is reactionary the state is reactionary. The state has no inherent qualities in the way the AF claims. In the last analysis, despite the AF’s denials, the state in the present world is the expression of the interests of national capital as a whole. However, with increased globalisation of capitalism, states are no longer simply expressions of the national capital since the national capital has been replaced by international capital3. States have become agents of international capital and the imperialist bloc to which they belong. The imperialist phase of capitalism was ushered in by the First World War. Left Communists view this war as a critical turning point, a turning point which indicated that the progressive phase of capitalism was clearly over and that the world, not just the metropolitan countries of Europe and America, was ripe for proletarian revolution and the establishment of a higher form of economic and social organisation, namely communism. It is from this premise that we argue the Bolsheviks were justified in fighting for an immediate proletarian revolution in 1917, since revolutions in Europe could have transformed the Russian revolution into a stage in a world communist revolution. If the proletarian revolution was on the agenda in 1917, it followed that workers should now struggle to achieve this and could no longer give support, of any kind whatsoever, to their class enemies, the national bourgeoisie. This was recognised by Lenin in his April Theses of 1917 which led to the Bolsheviks dropping their programmatic support for the national bourgeoisie in creating bourgeois democracy in Russia. Instead they saw the October Revolution as a first step in the world revolution. Lenin however, despite having an analysis of capitalism after 1916 which demonstrated that that it had entered a new epoch “of parasitism and decay” tended to argue that the national question was a political and not economic issue. Indeed he had polemicised with his comrades Bukharin and Piatakov in 1915- 16 who, sharing Lenin’s analysis of imperialism argued that there was no longer any right to selfdetermination. They argued: The task of the workers is to mobilise the proletariat of both the oppressing nation and the oppressed, under the slogan of a civil, class war for socialism. (4) Lenin, arguing from his disgust with the old Tsarist Empire, the “prison house” of more than 200 nationalities, maintained the abstract right of self-determination. 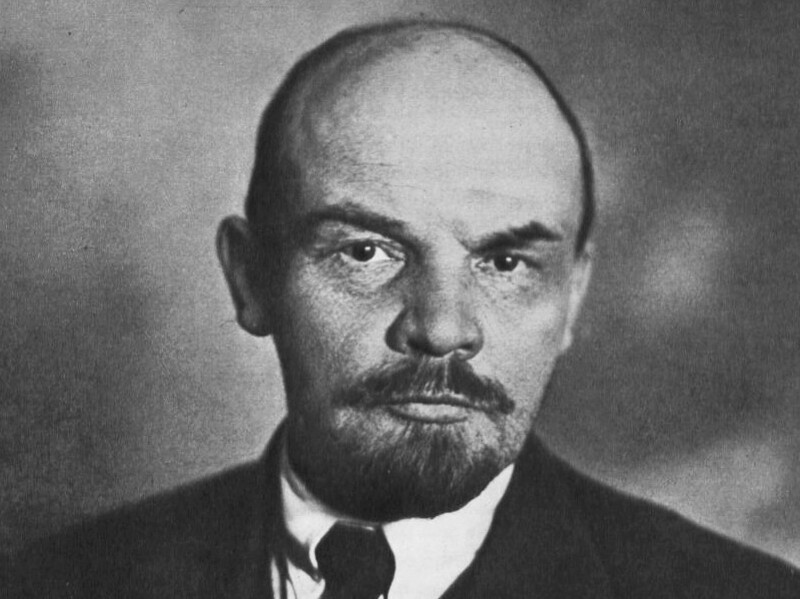 (5) At the height of the Russian Revolution Lenin lost the argument. At the 1919 Eighth Congress of the Russian Communist Party (Bolshevik) the views of Bukharin and Piatakov won the day and all reference to “self-determination” was removed from the Party programme. Bukharin and Piatakov were not alone in opposing the rights of nations to self-determination. It was opposed on a class basis by many revolutionaries in the period leading up to the First World War. The clearest opponent of this policy was Rosa Luxemburg who argued that workers should now fight on the basis of class, not nationality, and that national liberation divided the working class and left national workers at the mercy of their own bourgeoisie. She had herself concluded in a polemic over her native Poland in 1896 that the Polish bourgeoisie was “tied to Russia with chains of gold”. She even split from the Polish Socialist Party (PSP) over its out and out nationalism (with no reference to socialism) to form the Social Democratic Party of the Kingdoms of Poland and Lithuania (SDKPiL) on internationalist positions. This party grew rapidly in the 1905 revolution as workers “flocked into the SDKPiL and made common cause with the Russian workers”. (6) The workers and Luxemburg had both witnessed how the Polish national bourgeoisie in 1905 broke worker’s strikes, which were at the time combined with strikes by Russian workers, to further their nationalist cause. Small wonder that the SDKPiL won over the majority of the PSP. Its minority under Pilsudski became openly chauvinist and later would join the Western powers in attacking Soviet Russia militarily. There can be no clearer example of the incompatibility of socialism and nationalism. However this is to anticipate. In December 1905, Luxemburg described how, in practice, the national cause was used to defeat that of the working class. How familiar such a description sounds to us today. These words could have been written about Turkey in 1920, China in 1927, the liberated colonies, Zimbabwe, South Africa; in short, they apply to most of the significant national liberation struggles from the Second World War to the present day. The nations (granted national self determination) used their freshly granted freedom to ally themselves with German imperialism against the Russian Revolution as its mortal enemy, and, under German protection to carry the banner of counter-revolution into Russia itself….The Bolsheviks were to be taught, to their own great hurt and that of the revolution, that under the rule of capitalism there is no self determination of peoples, that in a class society each class of the nation strives to “determine itself ” in a different fashion; and that for the bourgeois classes the standpoint of national freedom is fully subordinated to that of class rule. The Finnish bourgeoisie, like the Ukrainian petite bourgeoisie, was unanimous in preferring the violent rule of Germany to national freedom, if the latter should be bound up with Bolshevism (8). Some have argued that the Bolsheviks had little choice and that Luxemburg’s argument is unfair but in this they are missing her point. Not one of these nations was really independent but as she makes clear they were all the tools of imperialist powers. The clarity of her position was best summed up in 1916 in Either–Or. The majority of Bolsheviks had accepted this in 1919 but as the revolutionary tide in Europe ebbed away and the Russian Revolution remained isolated, the Bolsheviks searched for desperate expedients which could maintain the revolutionary momentum. One of these was to support national bourgeois movements in colonies or semi-colonies of the major powers. Lenin, in line with what he had written at the end of his pamphlet on Imperialism – the Highest Stage of Capitalism, now argued that such movements would weaken the imperialist powers by cutting off the “super profits” they extracted from the colonies. Without these super profits the imperial powers would be unable to bribe the “workers aristocracy” in the imperial countries to head off the revolutionary ambitions of the metropolitan workers. The Comintern adopted this policy (despite the opposition of communists like M.N.Roy and Sultan Zade who held positions close to that of Luxemburg) and its political conclusion was that the workers’ political organisations in the colonies should put themselves at the disposal and under the control of the national bourgeois forces. The theoretical basis of this policy was that bourgeois revolutions were still on the agenda in certain parts of the world and were progressive. It was in clear contradiction to the April Theses which saw capitalism as ripe for revolution in 1917 and so called into question the whole basis of the October Revolution. If bourgeois revolutions could take place in one part of the world and socialist revolutions in another then capitalism was not yet a global system ripe for revolution, as was claimed in the founding theses of the Comintern. Such a perspective also opened the door to the possibility of constructing socialism in one country since the bourgeois revolutions in the colonies or semi-colonies, were supposed to support the socialist revolution in the metropolitan capitalist countries. We will not comment here on the theoretical issues of “super profits” and “workers aristocracy” beyond noting that history has shown these ideas to be wrong. Since the Second World War we have seen decolonisation and national bourgeois revolutions throughout the colonial and semi colonial world and imperialism has not been significantly affected. The major imperialist powers no longer directly administer these areas, this is now carried out by a local section of the bourgeois class, but the surplus value still keeps flowing to the metropolitan countries. These regions are today dominated by international capital more thoroughly than ever before, despite their nominal independence. Imperialism is that stage of capitalism when the latter, after fulfilling everything in its power, begins to decline. The cause of this decline lies in this, that the productive forces are fettered by the framework of private property as well as the boundaries of the national state. Imperialism seeks to divide and re-divide the world. In place of national wars there come imperialist wars. They are utterly reactionary… (10). The struggle of oppressed peoples for national unification and national independence is doubly progressive because, on the one side, this prepares more favourable conditions for their own development, while, on the other side, this deals blows to imperialism (11). If the nation state is a fetter to capitalism, as the first quotation clearly states, how could creation of new nation states prepare favourable conditions for national development? How could such struggles be progressive? If capitalism is in decline, as the first passage states, then workers should be struggling for socialist revolution not national bourgeois revolution. Further, if imperialist wars are utterly reactionary, as Trotsky clearly states, how, one might ask, could the Trotskyist movement support the Second World War, which was quite clearly an imperialist war? We are dealing here with a mass of contradictions rather than a theory. (12) Much effort has been spent by Trotsky’s successors trying to make these contradictions less apparent. Theories have been developed proposing that certain types of support for the bourgeoisie are not full support, but rather critical support, which we are told is quite different from support. Distinctions have been drawn between the national movement and the agents of that movement enabling one to support the movement but not the national bourgeoisie who stand behind it. However, all such sophistry cannot hide the fundamentally bourgeois nature of these political positions. The Commune’s review of the AF pamphlet, written by David Broder, criticises it from the positions of the Comintern and the “leftists” described above. He argues that European nationalism and colonial or semi-colonial nationalism are different since they are different in origin. From this he concludes that the national bourgeoisie can be progressive in the peripheral countries. He gives Cuba as an example and argues that statecapitalist development in Colombia would undermine the Colombian bourgeoisie’s alliance with the US and so, presumably, also be progressive. He attempts to draw a distinction between the nationalist cause and the nationalist movement which supports it, thereby opening the door to support for Palestinian nationalism and critical support for Hamas etc. Seizing on the AF categorising of all states as imperialist, he rhetorically asks where Bolivian, Congolese or Afghan imperialism is to be found. Concluding it is non-existent, he opens the door for the support of these nations, and their national bourgeoisie, against the US. All these arguments have been dealt with above and are not worth reconsidering. Communists must not sideline or dismiss the national question in order to focus solely on class politics (13). Communists should therefore, in his view, support bourgeois nationalist politics. In opposition to support for bourgeois nationalist politics the AF advocates, as we have noted above, class struggle as the only means to overcome nationalism and achieve class unity. This is actually criticised by Broder! He argues it is wrong for 3 reasons. Firstly workers can struggle for class interests and still be racist or xenophobic. He cites Lindsey oil refinery workers striking under the slogan “British jobs for British workers.” Secondly, he argues, class concerns are not the only concerns workers have. Palestinian workers, for example, share no class interests with Israeli workers; their primary concern must be to end national oppression by the Israeli state. Thirdly, he claims, obtaining better living conditions in capitalist society is “not communistic as such.” These arguments are profoundly wrong. Firstly racism, xenophobia, sexism etc. are all ideological weapons of the bourgeoisie whose very purpose is to divide workers and weaken class struggle. What binds workers together is their position as wage labourers in capitalist society. This is based on class and only class. It is precisely in class struggle that this unity becomes apparent since the fight is from a common position for a common cause. Similarly it is only in the heat of class struggle that what Marx called the “muck of ages” which includes racism, nationalism, sexism etc. can be repudiated. Secondly it is quite wrong to claim that Palestinian and Israeli workers have no common interests. They share common class interests. These common interests are the only path to breaking the nationalist prisons which have led to the present appalling situation. To advocate Gazan workers support their national bourgeoisie in the shape of Hamas is utterly reactionary. The case of South Africa is worth posing as a counter example. Before 1994 it was argued that white and black workers shared no common interests whatsoever yet today, as they together face a bourgeoisie reducing their living conditions and breaking their strikes, a bourgeoisie at whose head stands the ANC, the common interests that existed all along are glaring apparent. The tragedy, which also applies to Palestine, is that this was disguised so effectively by leftism. The result was that workers were used on both sides to fight the bourgeoisie’s battles and kill each other in the name of nationalism, and this has sown nothing but confusion. Broder’s third objection appears to come from a complete misunderstanding of the circumstances which could provoke revolution. It is obvious that workers will not make the revolution if capitalism is able to grant them improved living conditions. The revolution will only be made when workers understand that capitalism offers them nothing but deprivation and war. There has to be a total crisis of the economic and social system before it becomes clear to workers that they need to overthrow it. Before this stage can be reached international class unity and class consciousness has to be generated. This can only come from a long series of struggles in which obstacles along the road one of which is “nationalism” are exposed, both practically and theoretically, as complete lies. The ICT (14), of which the CWO is a part, argues that nationalist struggles are simply disguised imperialist struggles and the wars they provoke are imperialist wars. Workers should give solidarity to workers from the opposing side in their struggle against their own bourgeoisie. The orientation of this policy is towards turning the imperialist war into a civil war and the overthrow of bourgeois power. This was the policy adopted by the Bolsheviks during the First World War which was a decisive step towards the October Revolution. Today it remains the only proletarian response able to open the way to a communist world. (2) Counter examples can be given. How, for example, are states like Lesotho or Bangladesh imperialist? (3) An indication of the international nature of capital can be seen from a few statistics of the UK and US. In the UK for example 42% of the shares on the London Stock Market are foreign owned. An iconic company such as BP is 60% foreign owned 39% of this by US capitalists. Many other previously famous UK companies are now foreign owned, ICI, Pilkington, Powergen,, Corus, BAA, P&O, Cadbury, Thames Water, to name only a few. While in the US the three largest providers of direct investment at the end of 2009 were France, UK and Germany having cumulative investments of $1.19 trillion, $1.0tn and $1.00tn respectively. (7) “The Nation State and the Proletariat”. 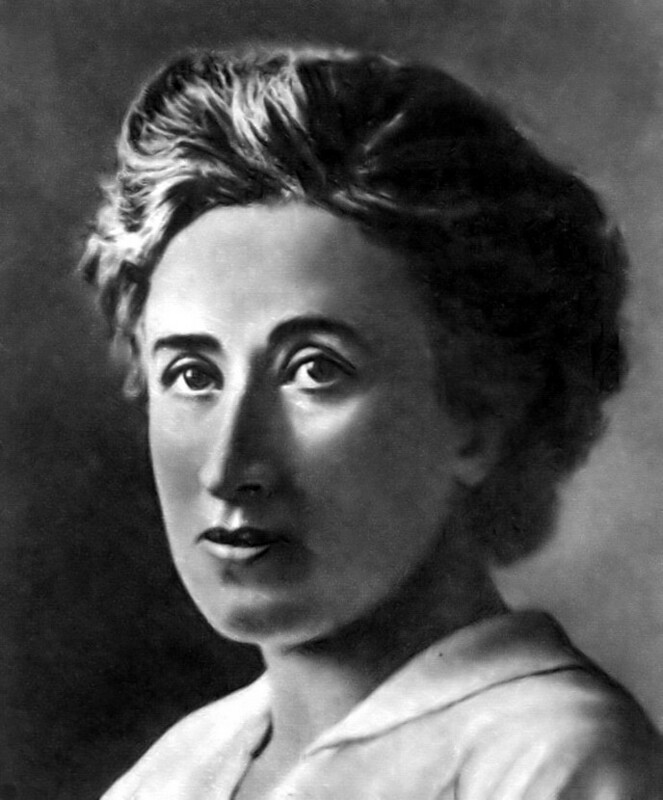 in The National Question selected writings of Rosa Luxemburg. Monthly Review Press. (8) “The Nationalities Question in the Russian Revolution” in The National Question selected writings of Rosa Luxemburg. Monthly Review Press. (9) For a good description of these events see The Tragedy of the Chinese Revolution by Harold Isaacs and for a comment on Turkey see Publications from Left Communists in Turkey in Revolutionary Perspectives 48. (12) For more on these contradictions ee our pamphlet Trotsky, Trotskyism, Trotskyists. £3 from the CWO address. (14) Internationalist Communist Tendency previously known as the IBRP. The article says"Counter examples can be given. How, for example, are states like Lesotho or Bangladesh imperialist?" So could it be correct to say that a state can be the victim and perpetrator of imperialism at the same time? In fact, are not all states in this position? In some cases the benefit of participating in the global economy far outweighs the negatives for the ruling class. In some cases, the gain is very little, but we could mention that the ruling class of the weakest states is able to gamble on stock markets for example, invest in speculation the world over. I was particularly thinking about China. It remains a source of surplus value for many multinational companies who profit from cheap chinese labour, but at the same time China is exporting capital and taking raw materials from several nations. So a dialectical analysis would say that any given state benefits or loses from imperialism to varying degrees, but it is not a binary situation where some states are imperialist and others are not? Imperialism is the stage which capitalism as a whole has reached ergo the national interest today means the pursuit of imperialist interests. There are big and little imperialist powers (with the little unable to pursue their aims without either the benign neglect of the big powers or their active assistance) but there are no longer oppressed and oppressor nations. For the proletariat in all countries the enemy is the same and the fight against it starts "at home". Responding to editor's comment of 2017-01-13, the following words seem to present a key part of what seems to me to be a considerable argument against the doctrine of the communist left in 2017. (Quote: " "Open boarders" is an unrealistic anarchist slogan that contradicts the socialist case for state power, regulation, planning and equal development.". (End of quote). From those words I will go on to suggest that any arguments of the communist left for statelessness, lacking in any sorts of parliaments and elections, are, for all practical proletarian purposes, indistinguishable from anarchism. The notion that some sort of mushrooming of workers councils would lead to some sort of widely agreed ways of organising the material and social arrangements of societies in localities of varioius sizes is totally beyond sane reasoning today. Of course imperialism produces enormous problems, but to blame all those on the very long existence of places known as nations makes no sense. Then it is also grossly mistaken to always confuse the word 'democracy' only with 'bourgeois democracy '. Of course the expression 'proletarian democracy' has been and can be misleading to refer to Stalinist variations on 'bourgeois'.democracy, but, nevertheless, given the necessary intention, the working class is perfectly capable of arranging a recognisably suitable and acceptable proletarian set of arrangements by which the vast non-capitalist majority of society can vote for 'MPs' and elect them to a parliament, to guide and co-ordinate the major functions of economic and social life. I could go on to list examples, such railways, power supplies, health services, roads and so on, none of which could be effectively and adequately run by scattered workers councils. Bourgeois states might get overthrown, but we must recognise all the difference between that and notions of getting rid of all sorts of states altogether. Society steadily changes. Dramatic events can make their mark, but don't, in themselves, make as much difference as some revolutionaries like to imagine. The old order changeth, gradually. Left to you the old order would not change at all. You have not even understood the article and you confuse the notion of nation and state. Workers councils or whatever bodies are produced in a revolutionary movement will not remain "scattered" but will elect a body to coordinate all the aspects of society and economy you identify as requiring codified coordination. As long as the suppression of the capitalist class is required the armed workers councils will form a sort of semistate which will carry out the task of transforming society armed with the mandates of a proletariat which will not think like today. Instead of quoting the Morning Star to justify Stalinist conservatism you should start by reading the German Ideology. It gives the key to Marx's thinking about revolution and consciousness and it is the scourge of counter-revolutioanaries everywhere (including those who profess Marxism only to hide their reactionary words and deeds). I note your response ! I don't know of any armed workers councils, but I probably did read at least some of Marx's German Ideology many years ago, during my earlier years on the long road of attempting to unravel the tangled web of the many rival stupidities of politics. Changing the old order is not left to me, but there might be some chance of many people persuading the Pentagon not to launch, because nuclear explosions anywhere will have most unprofitable consequences for the capitalists, in that they would render raw materials and customers radioactive, after which the old repetitive reconstruction would be a non-runner. Back to the theme of armed workers, do you think that the considerable prevalence in the USA of civilians owning guns makes a revolution there any more likely than in western Europe ? That is not saying that imperialism can be persuaded to be anything other than it is. Workers knowing of the ICT CWO argument, as in the main article here, might find it useful, even vital, to consider the following points. The massive weight of modern media influence, spread instantly across a nation, will be rapidly more persuasive than CWO views held by a fairly small percentage of the proletariat, however regretable that might be. If an inter-national war breaks out, those holding the CWO view would need to decide whether they are going to literally fight against what they reckon to be 'the enemy at home', in which case they are likely to be regarded as traitors, or to refuse to join up (if joining up is still required by conscription or expected of them by local people) by standing as conscientious objectors, in which case they are likely to be regarded as cowards. Now of course the CWO will remember events in Russia in which soldiers already in the imperialist World War 1 turned back from the front and so on, but, then the Tsar lacked the means to counteract that with radio and television political broadcasts. And of course there is the history of soldiers of both British and German sides shaking hands in a lull in fighting, before it all kicked off again. So now, as imperialism rolls on, is there any more possibility of its being overthrown before rather than during or after a war, if anyone survives a modern possibly partially nuclear war ? All this is an attempt at a sober assessment, rather than a ouncil of despair.